Dr. Eugene Rosenthall always appreciates feedback from his valued patients. To date, we’re thrilled to have collected 28 reviews with an average rating of 4.96 out of 5 stars. Please read what others are saying about Dr. Eugene Rosenthall below, and as always, we would love to collect your feedback. One of the nicest visits I’ve ever encountered as a new patient. Now I can really appreciate the 5* reviews I’ve read (and the reason I chose this practice over others). Dr Rosenthall is extremely friendly, treated me as if we’d know each other for years, did not rush, explained everything thouroughly & gave me options for the tendinitis in my foot. Office staff is friendly & explained their roles well. If you have any foot issues, you cannot get any better care than with Dr Rosenthal. P.S. I’m a retired physician, so you can count on my professional opinion when reading my review. Genuinely cared about my foot condition and gave me options. Great staff, great doctor. Everyone is very kind and professional. Dr. Rosenthal and his staff are awesome! I needed bunion surgery, and had heard horror stories about how terrible it was - obviously, those patients didn't go to Dr. Rosenthal. My experience was way beyond my expectations. Yes, I had pain, but it was managed well and I followed his instructions to apply ice packs and elevate my foot. I wore my boot religiously. My recovery was faster than I expected and my toe is straight for the first time in 40 years. In fact, I was so pleased with the results, I went back to Dr. R. four months later and had my other bunion taken care of. I had the same exceptional results and am wearing sandals for the first time without being embarrassed by my ugly bunions. If I had a third foot (fortunately I don't), I would go back to Dr. Rosenthal to fix it, too! Dr. Rosenthall is a great doctor! He has the ability to calm your nerves and worries when you have an injury. He is compassionate and understanding. I had a two inch circle injury which had taken the skin and tissue off. He is treating it and it is healing faster than I thought it would. It is a pleasure to go to his office. His secretary and the people who work with him are also nice and helpful. I am very grateful to have him as the doctor treating my injury. 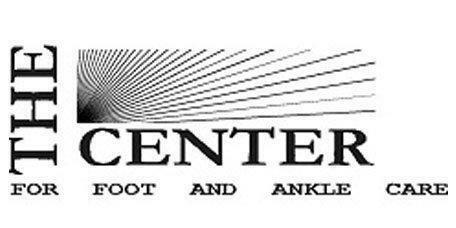 This is a great place for injury and foot problems. I recommend him highly. I saw Dr. Rosenthall for a minor issue, but he was nonetheless professional, knowledgeable, kind, helpful and certainly someone I would return to if the need arose.